As they say, all good things must come to an end. This is my last post of my London & Paris 2013 trip. I hope my blog posts were useful and at the same time entertaining. We took a cab arranged by the hotel at 70.00€/S$120. It may seem expensive but it was a private van that sent us to the international airport, Roissy-Charles-de-Gaulle International Airport. It took an hour to reach the airport. you could take the RER which will take approximately 40 minutes and cost 20.50€/S$35.00 per person. It was a clear that it would be more economical to take the taxi to the airport! As mentioned in my posts on the various Paris shopping locations, do remember to get your tax refund if you don't live in the EU or visit the EU for less than 6 months. As long as you spend minimum of 175€ on the same merchant, you will qualify for the tax refund. Ensure that all the items that you intend to get the refunds are in easy reach. The customs officer may want to check your purchases before stamping your forms. Once the form is stamped, drop the correct portion of the form into the mailboxes and you are done! The photo at the bottom shows the counter where you queue if you request for cash refund (you will only get back 10.8% while credit card refunds at 12%). After doing the necessary procedures for the Tax Refund, we checked in and waited at the waiting area. 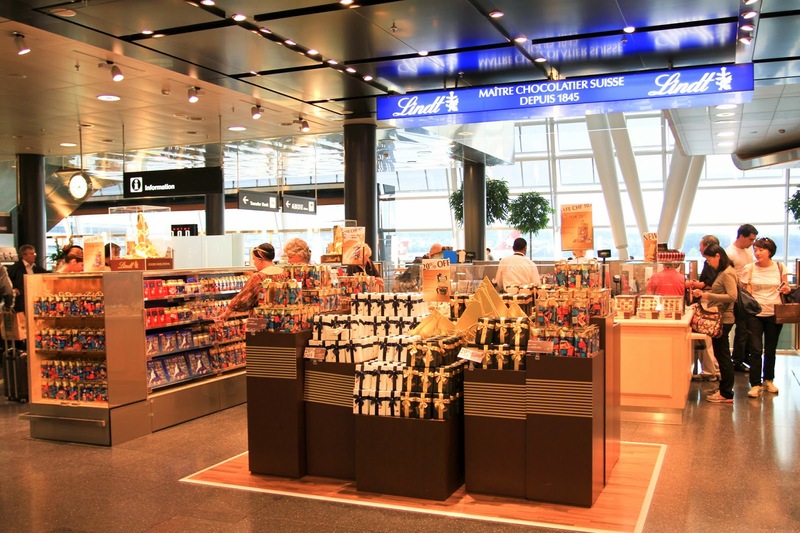 There are small gift shops, cafes and vending machine while you wait for your flight. 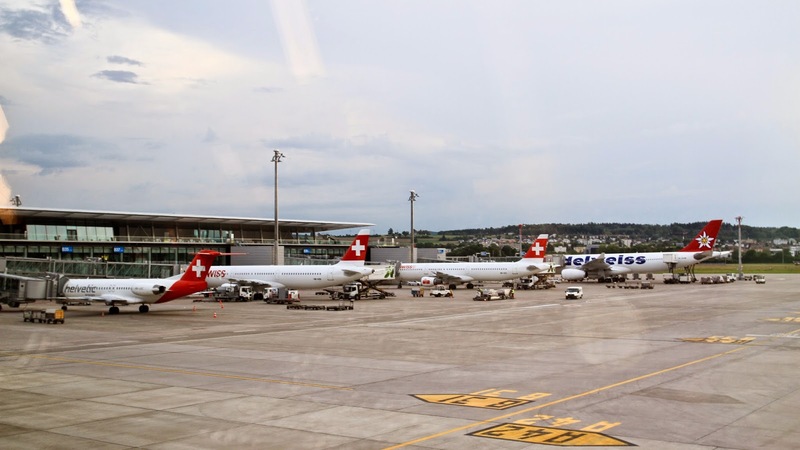 We flew on Swiss Airlines which meant that we had to transit at Zurich before flying back to Singapore. Thus, the terminal for the domestic is rather small. 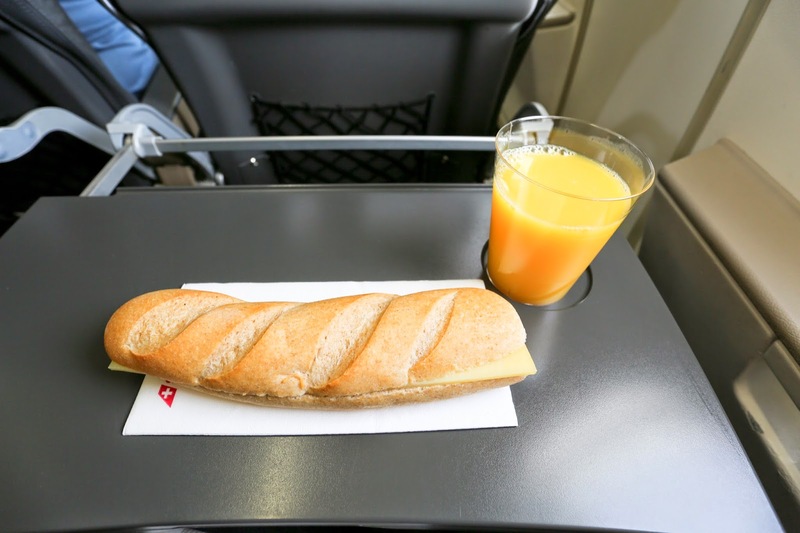 Even for short distance flights (around an hour), we were served a sandwich and a drink! We decided to have a longer transit at Zurich. 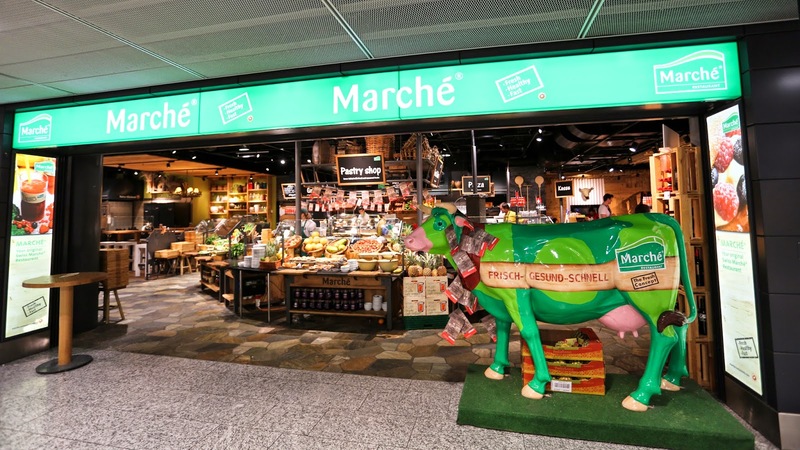 The airport is clean with food options such as Marche and Center Bar. 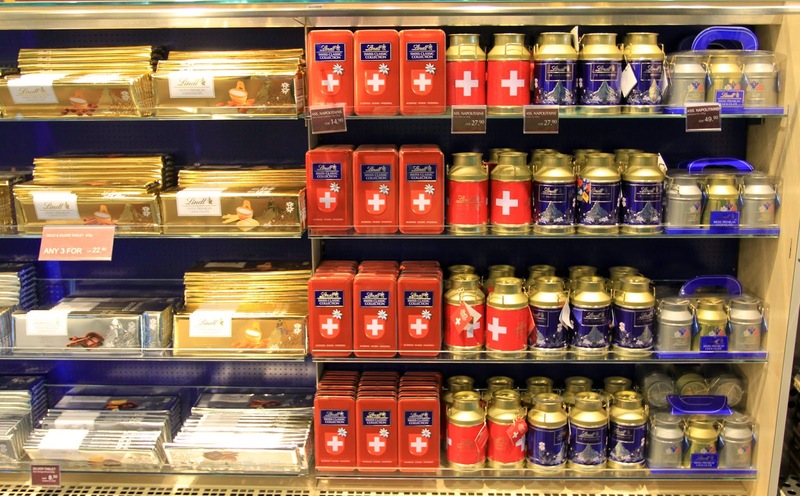 If you want to get yourself a souvenier, you could buy chocolates and Swiss Army knifes! The Swiss Army knifes are cheaper here than in Singapore. 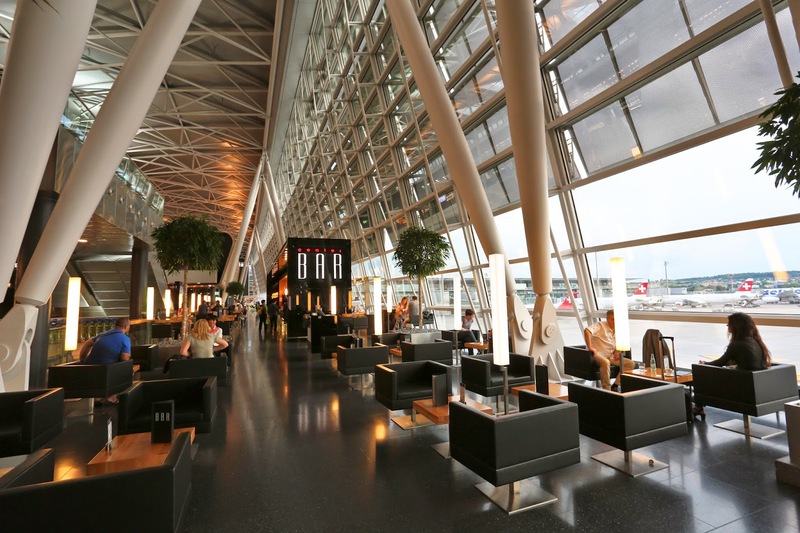 One of the bars at Zurich. The Marche here is definitely more expensive than the one we have in Singapore due to the currency difference. To give you an idea, just imagine replacing the Singapore dollar sign with Swiss Franc. E.g. S$5 Juice vs 5 CHF/S$7 Juice. 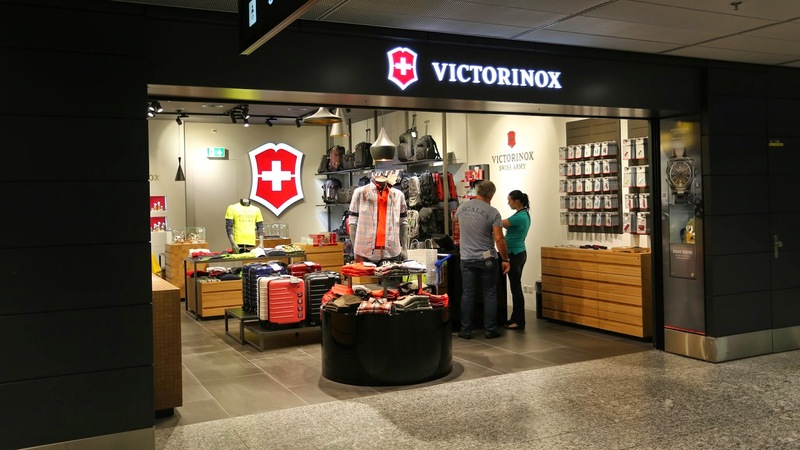 Look out for this Victorinox shop which has swiss army knifes. There are other outlets but they are smaller than this one. 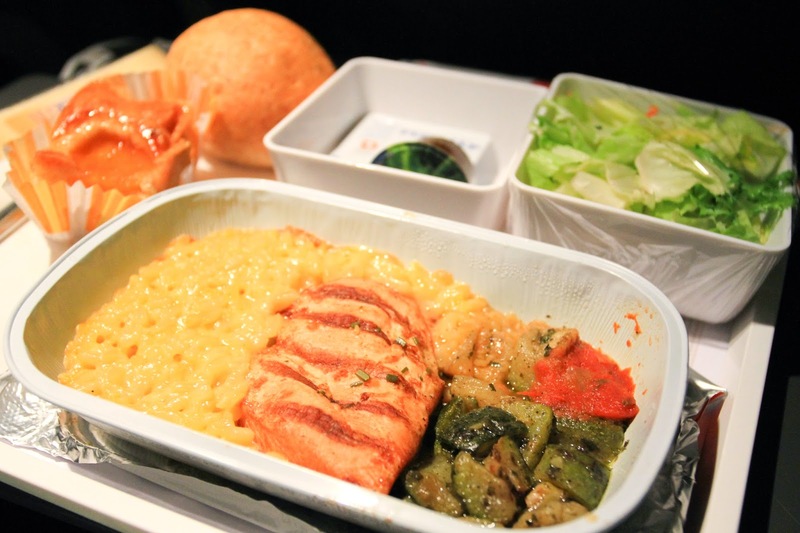 You can take this on board on your hand carry as long as you fly direct to your country. If you are transiting else where, you will be subjected to various airport checks and will not be allowed to take it onto the plane. You can buy chocolates as souvenirs! The rows of chocolate. Be sure to check out the 5kg Nutellas and large bars of Toblerone. 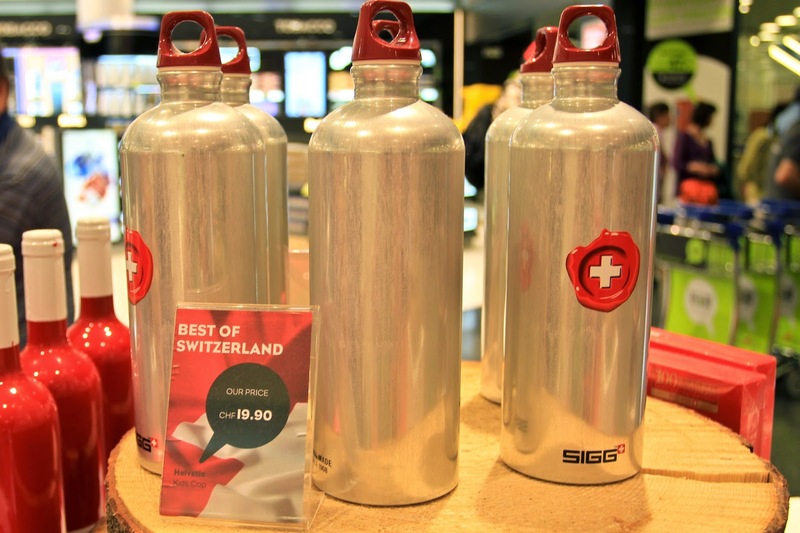 SIGG bottles found in the gift shop. After the long transit, we left the shopping area which requires you to take a train to another terminal! 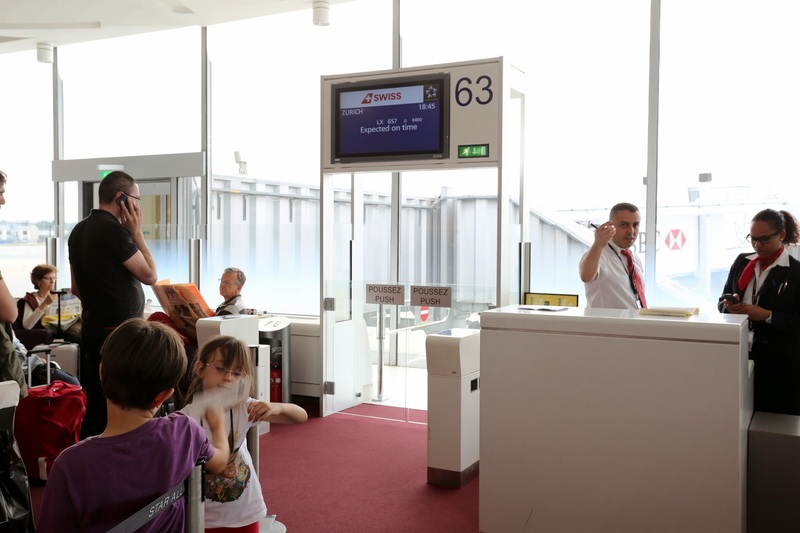 Please allocate some buffer time to avoid missing your flight. And we are finally leaving for home! 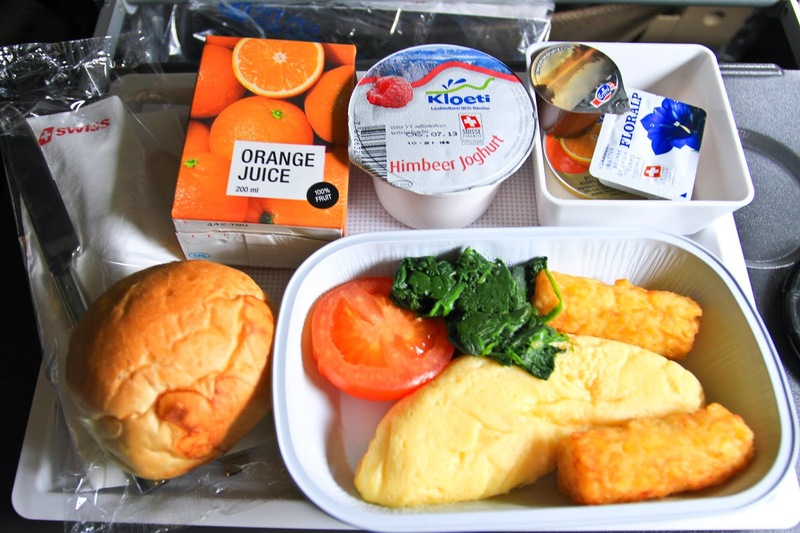 As usual, the food on Swiss air is a treat. 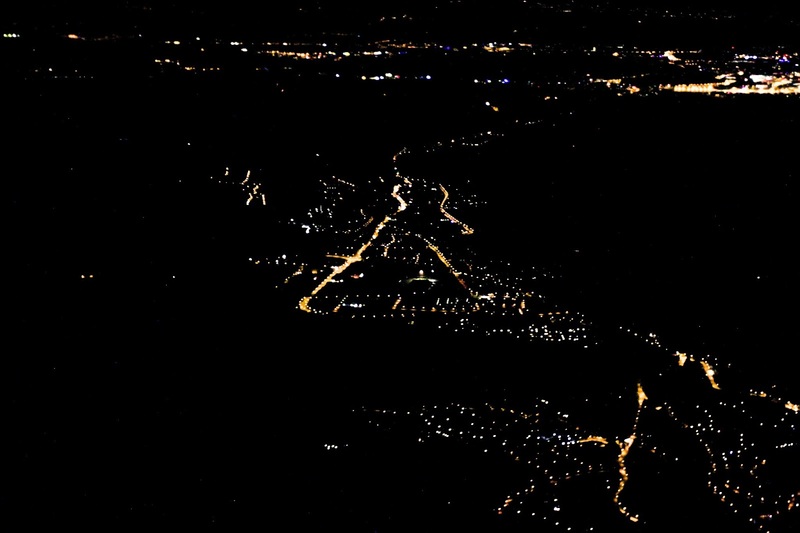 Great service, little pictures as it was a night flight and I was sleeping. My trip to London and Paris was definitely an enjoyable one. Travelling to Europe is easy and can be done without the need of following a tour. Travelling by trains to cross countries are a lot quicker than taking buses. I hope my posts were entertaining. - Tax Refunds if you don't live in the EU or visit the EU for less than 6 months.